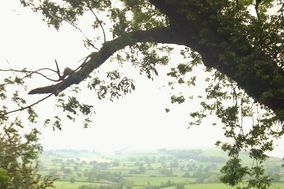 Wedding Venues Shropshire ARE YOU A SUPPLIER? 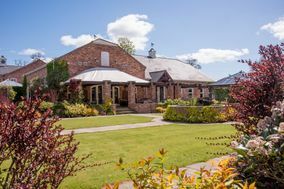 Guide to wedding venues in Shropshire: in our listings you will find the best venues to celebrate weddings and other events like anniversaries, birthdays, christenings and other unforgettable special occasions. 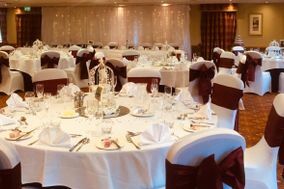 You can take a look at prices and wedding packages in addition to the best offers in wedding receptions in Shropshire. Though it has a well-deserved reputation as a peaceful and quiet refuge, don't let Shropshire fool you. This inland county is more than capable of hosting your wedding bash with style and aplomb. Situated on the border with Wales, Shropshire is filled with pretty villages and bustling market towns. Its county town of Shrewsbury isn't quite big enough to be a city, but it still offers plenty to do and see, including much medieval architecture. The county's largest town, Telford, is much newer in construction and is in the midst of a big growth spurt. You can find grand hotels and fun eateries here. Of course, if the way to your heart is through your stomach, then the little town of Ludlow deserves your attention and taste buds. This castle-rich town is also famous for its eateries and specialty food and drink shops! 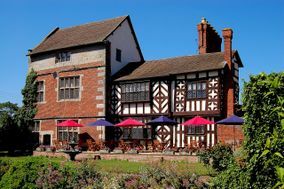 You didn't settle when it came to finding your true love, and you shouldn't settle for a less-than-perfect Shropshire wedding venue. Fortunately, you have plenty of options to choose from. 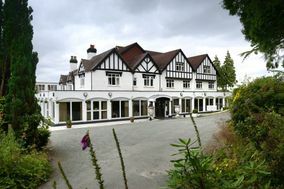 Shropshire's larger towns include grand hotels that can host large wedding parties and offer all the bells and whistles. Choose from contemporary hotels or historic hotels with plenty of character and stories to tell. 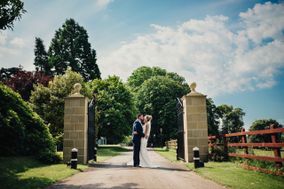 One thing that sets Shropshire apart from certain other English counties is the amount of regal and beautiful mansion houses available for your big day. These grand dames were once the homes of wealthy families, and now you can soak in all that grandeur with a glamourous wedding day set in lush gardens and ballrooms filled with twinkling chandeliers. The only thing that limits your Shropshire wedding venue choices is your budget, so use our wedding budget planning tool before you start your search! You've already chosen the person you want to spend the rest of your life with. Now it's time to make another big choice. 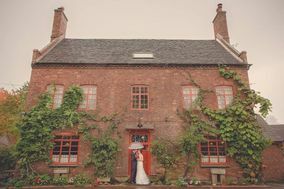 Which Shropshire wedding venue will be yours? Even if you believe in love at first sight, it's still important to schedule a tour of your top venues. The venue coordinator will tempt you with a well-rehearsed sales pitch, but make sure you ask plenty of questions. 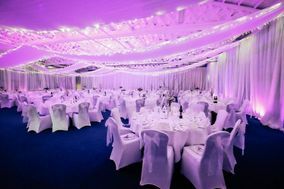 For instance, a lot of different aspects of the venue can affect the ultimate price tag. Does the venue offer menu and drink packages? Will they let you bring in your own vendors, or do they insist you choose from their approved vendor lists? Can they offer tables, chairs, and linens, or will you have to bring everything in? Don't forget important questions like when the vendors can start setting up or what happens if it should rain on your big day. Does the venue include indoor facilities or a tent they can erect if Mother Nature doesn't cooperate? If all these questions are starting to feel overwhelming, let your worries go. We are here to help, and we've got lots of useful tools to make your entire wedding plan come together in a snap. Start by filling out your wedding to-do list. Then it's time to cull the guest list and put up your wedding site. We can help with it all, so you can focus on preparing for your beautiful Shropshire wedding.